He was what we call "un homme l'Est." Born at the foothills of the Vosges, he liked to explain that his name came from the land of the Armoises, on which his ancestors had laboured and which had been, in the fifteenth century, the home of the false Jeanne d'Arc, Jeanne des Armoises. He excelled at school, studying at the Collège de Toul and then the lycée in Nancy. In his final year at the lycée he took the competitive examinations for entry to the École Polytechnique and the École Normale Supérieure and, given his outstanding performance, was offered a place in both. He chose to study at the École Normale Supérieure where his brother Eugène had already been studying for two years. He began his studies in 1906 and graduated with a first degree in mathematics in 1909. He was then given the position of 'Agrégé préparateur' which was reserved for the most brilliant students, assisting Émile Borel who was director of the École Normale Supérieure. As an undergraduate, he had taken courses given by Gaston Darboux and Édouard Goursat and, in 1911, encouraged by Darboux, he began to undertake research on a topic involving both geometry and analysis. He published four papers between 1910 and 1914: Sur les correspondances à normales concourantes Ⓣ (1910); Sur les courbes algébriques à torsion constante Ⓣ (1913); Sur les courbes à torsion constante Ⓣ (1914); and Sur la méthode de Laplace Ⓣ (1914). His thesis was almost complete when World War I broke out in July 1914 but he had to stop work on it to undertake military duty. The 1914-1918 war, having oriented me towards ballistics and artillery problems, and then towards location by sound and the problems of measuring and of wave propagation, had deeply inflected my spirit towards mathematical physics and the calculus of probability. The decision I took in Nancy in 1923, to connect the teaching and investigations of the calculus of probability with several applications to statistics, stemmed from the desire of constituting in France a school of theoretical and practical statistics. Great Britain and the United States showed the way, and it was important to follow their example. I was thus led to participate in national, and later international, statistical activities. ... this is an excellent treatise to put in the hands of statistical students with a fair grounding in mathematics who are also doing laboratory work. It might also be useful to young mathematicians who wish to have some idea of what statistics is about. G Darmois, professor at the University of Nancy, will give a series of four lectures on the following topic: Statistical laws, correlation and covariance with applications to heredity, to social and economic sciences. The aim of these lectures is to emphasize several fundamental ideas of statistics and the character of the special order they can bring into some sets of experimental results. A research project usually stems from the desire to verify, deepen and link a group of ideas, either because of its practical importance, or from its unquestionable presence. As observation advances in the field under study, the accumulated results are thus placed either within the framework of a prior theory, sometimes vague, or in a purely pragmatic order, generally with some logical threads running through it. This provisional organization, as a convenient description of the observed material, allows the mind to handle large sets more easily. After that, one looks for what we may generally call persistences, which is to say relations commonly observed which constitute empirical laws for the observed phenomena. ... Once these empirical laws are obtained, the subsequent process of the mind aims at understanding them, explaining them, relating them. In parallel with the descriptive order, the explanatory or logical orders, scientific theories and laws develop. This development, which is constructed from several basic notions, must then recover the results of the experiment. Darmois discusses Fisher's work on estimation - he already knew of Fisher's work in time series analysis and population genetics - yet even so his note in the 'Comptes Rendus' ('Sur les lois de probabilité à estimation exhaustive', Ⓣ(1935) comes as a surprise for it contained an important contribution to Fisher's theory of estimation: Darmois (1935) considered distributions admitting a sufficient statistic, what are now called the exponential, or Koopman-Pitman-Darmois, family of distributions - B O Koopman and E J Pitman were based in the United States and Australia respectively and their works appeared somewhat later. Fisher's theory of estimation, which originated in the early 1920s, had attracted some American attention (Hotelling and Doob) and Darmois was the first European to contribute to the theory. His next book, or pamphlet, 'L'Emploides Observations Statistiques: Méthodes d'Estimation' Ⓣ (1936) expounded a fresh the theory and Darmois sent Fisher a copy. This approach was quite different from Fréchet's for it was an expression of solidarity and not of veiled criticism. Fisher replied in June 1936 thanking Darmois for his "excellent little book" and a brief correspondence on the theory of maximum likelihood ensued. The administrative fiction of Darmois' being held in Britain against his will allowed him to retain his salary, and to pursue his career most honourably. In contrast, his brother Eugène (1884-1958), a physicist who was Professor in the Faculté des Sciences de Paris, was accused of being a collaborator after the liberation of France. Suspended from his duties for a time, like Julia and de Broglie, he was reinstated "with a reprimand" in December 1944. 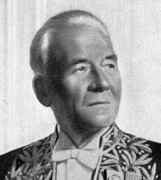 After the end of World War II, Darmois returned to his post in Paris and was appointed as head of the Institute of Statistics of the University of Paris. He served as President of the Société Mathématique de France in 1945. In 1949 he succeeded Fréchet when appointed Professor of the Calculus of Probabilities and Mathematical Physics at the Sorbonne. He was President of the International Institute of Statistics from 1954 until his death, and was elected to the Academy of Sciences in 1955 in the Astronomy Section. On the basis of the opinions of all who knew him, Darmois was an extraordinarily dynamic man, who was open to the influences of both things and people. The number of his pupils and the diversity of subjects in which he guided them bear witness to this. He was gifted with a brilliant vitality, an illuminating intelligence and immense goodwill. Most of this he directed towards the young researchers who came to him from all parts of the world, many of whom continue to recall him with profound gratitude. He was, in French University circles, one of those who most welcomed colleagues from abroad, aided by the smiling amiability of Madame Darmois. How many illustrious statisticians have I met at his home, near the Sorbonne, in the Odéon quarter, where the principals of the French revolution lived ... It is in this harmonious setting that I shall always imagine my master, discussing, with his jovial good-will and deep competence, the latest youthful work that I had come to submit to him for presentation to the 'Comptes Rendus' of the Académie des Sciences. For he was always passionately concerned with youth and with the efforts of young scientists to extend the scientific patrimony they had received. The first part of these lessons shows the common models of probability theory for the case of a finite number of states. ... In the second part the general space of states, constituting a Borel field, is considered, with probability defined, as usual, as an additive function of states. Distribution functions, mean values, characteristic functions with their various properties, and moments are presented in a very simple manner. Equally simple is the presentation of pairs of variables with the corresponding Laplace-Gauss law, convergence theorems, domains of attraction of the Laplace-Gauss law, with elements of the theory of errors and the influence of dependence on random quantities. The last section is devoted to linear and parabolic regressions.